We provide comprehensive manufacturing solutions including new product development, supply chain management, product lifecycle management, thermoforming, medical device contract manufacturing and assembly, machining & metals and medical injection molding to medical device industry leaders. As a world leader in thermoforming of even the most complex medical device enclosures & products, Providien has the technology and highest quality standards to meet your design requirements. With 5 types of thermoforming to meet your demanding close-tolerance design requirements, we are equipped to handle specific needs of your products. We focus on pressure forming to achieve highly cosmetic medical device covers. Pressure formed tools are a fraction of the cost of injection molds while keeping pace with the aesthetics of injection molding parts. Learn more about Providien’s thermoforming processes for your products. Are you looking for a complete turn-key manufacturing solution or to supplement your existing processes? Providien partners with design, development, and manufacturing solutions for Class II and Class III finished medical devices. With our cutting edge technology and customized solutions, we have the flexibility to meet fast-changing market demands. Our medical device contract manufacturing process allows us to produce low and high volume production with quick turnaround times. All with exceptional customer service. Providien is focused on minimizing waste and adding value to our customers with the Providien Lean Initiative. We have a dedicated team focused on improving processes and best practices. Providien provides fast moving and economical turnkey solutions for medical device leaders. 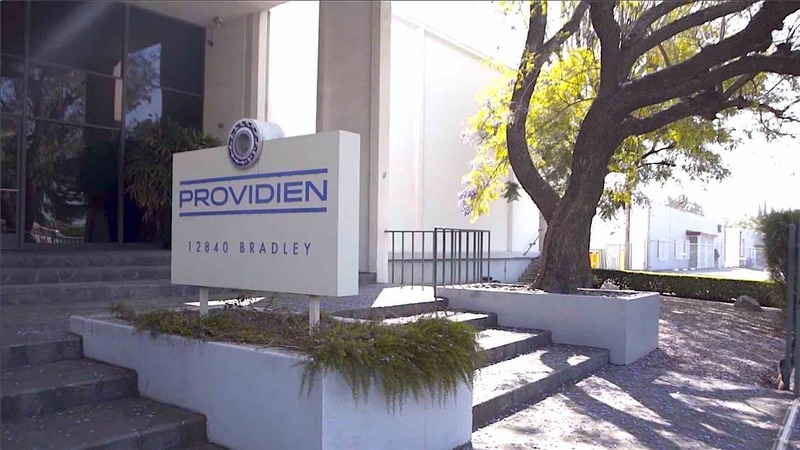 Providien machining and metals is a global leader in precision machining, electromechanical assemblies, NPI management and precision miniature bearings. Providien Machining & Metals has long been a leader in the precision bearings industry with over 2 million bearings supplied annually. Providien’s precision machining facility is both ISO 9001 as well as ISO 13485 certified. Providien specializes in tight-tolerance machining, which separates us from our competition in the space. The medical injection molding process has helped to revolutionize the medical device industry. With injection molding, companies are able to develop products that are lightweight and cost-effective and allows for medical device OEMs to get products to market quicker. We help manage and execute design, build, and validation transitioning to production. In the healthcare industry Providien is a world leader when it comes to medical injection molding. We’ve invested heavily in technology and certifications with the commitment of always going above and beyond exceeding minimum standards and expectations. Make Providien’s experienced injection molding team and integral part of your product’s success.